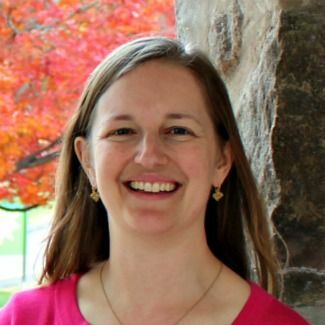 What brought you back to Bryn Mawr as a teacher, and what is it like teaching at your alma mater? As a student I came to Bryn Mawr from a traditional, large public school setting. When I started as a ninth grader I quickly realized I was in this fantastic educational atmosphere, and I felt very lucky to be a student here and to have so many different opportunities. In terms of my path to teaching, after I finished college I worked in non-profit organizations for a number of years. In that capacity I was doing a lot of work with youth groups and students outside of school, and so I began to think that teaching would be a good career path for me. I began teaching middle school science, and then when there was opening at Bryn Mawr for a Middle School science teacher, it felt like a natural fit. It was a really meaningful place for me as a student, and professionally it has been a place that has allowed me to grow a lot as an educator. I have always felt that students come to care about things that they know and understand, so it is my job as an educator to share with students new ideas and things that open their minds to new perspectives. My hope is that as they learn more about their world they will realize what they believe in and will want to stand up and take action for those beliefs. My role is to present different material and ideas, and to then give students the space to pick up those ideas that they identify with and care about, and to carry those things forward. You see the school from many different viewpoints: an alumna, a teacher, an administrator, and also the parent of a Little School student. How have these different perspectives evolved the way that you think about the school? I’ve really come to appreciate a lot more of the complexity of what goes on here. I came to Bryn Mawr both as a student and as a teacher focused on the learning that goes on here, but I’ve come to appreciate all of the lives and interests that make up our community. The educational aspect is important, but so are the relationships, the programs and the different opportunities we offer to our students. I feel lucky to have been able to be in lots of these different categories and understand how different people view the school based on their relationship with it. You’re on a deserted island. What three items would you want to have with you (assuming food, water and shelter are accounted for)? I need some kind of reading material, whether it is a newspaper or a good novel; I need a journal; and I need a craft activity of some kind to do with my hands. If you could only read one book or series of books for the rest of your life, what would you choose? My favorite authors are John Irving and Barbara Kingsolver – I think between those two I would go with John Irving.